lexander the Great of Macedon was no stranger to controversy in his own time. Conqueror of the Greek states, of Egypt and of the Persian Empire as well as many of the principalities of the Indus Valley, he nevertheless became revered as well as vilified. Was he a simply a destroyer of the ancient civilizations and religions of these regions, or was he a hero of the Persian dynasties and of Islam? The conflicting views that were taken of him in the Middle East in his own time and the centuries that followed are still reflected in the tensions that exist between east and west today. 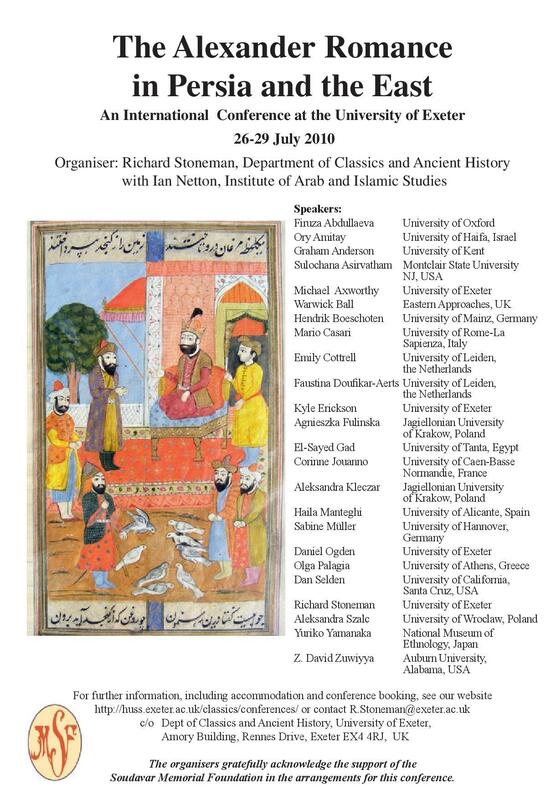 This conference, convened by Richard Stoneman, Professor of Classics and Ancient History at the University of Exeter, set out to explore issues and growth points in the study of the Greek Alexander Romance and its transformations in Persian and Arab traditions, as well as aspects of the Hebrew tradition as it impinges on the Muslim world. The proceedings of the conference were published in 2012 in a book edited by Richard Stoneman, Kyle Erickson and Ian Netton entitled ‘The Alexander Romance in Persia and the East‘ (Groningen: Barkhuis Publishing; Groningen University Library). More than half the papers were by invited speakers and sought to provide a systematic view of the subject; the remainder were selected for their ability to carry research forward in an integrated way. The Soudavar Memorial Foundation is happy to announce Dr. Richard Stoneman’s latest contribution to Iranian Studies. 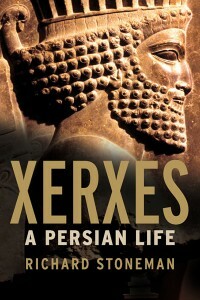 Xerxes A Persian Life, Published by Yale University.